Cavender’s was founded by James Cavender in 1965 and is headquartered at Tyler, Texas. It is a family operated company and is completely owned by the Cavender family. 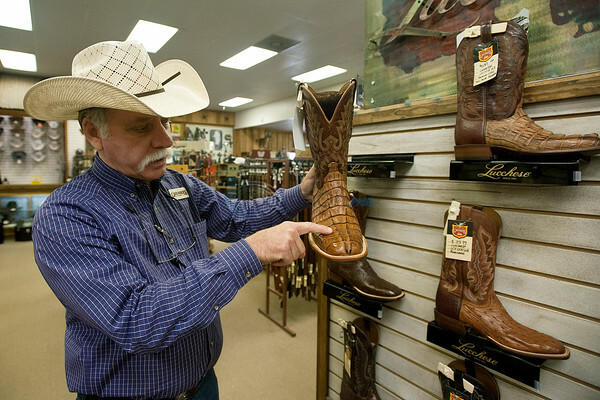 Cavender’s has over 70 retail stores which offer traditional and modern-style boots, home décor, clothing, and hats. Their retail stores are spread across Texas, Colorado, Arkansas, Louisiana, Oklahoma, Kansas, New Mexico, and Missouri. Their stores are often titled “Cavender’s Boot City” or “Cavender’s Western Outfitter” according to the location of the store. Details: Get $10 off All Dresses on sale Reg. priced styles $40 & Up. Select styles. How soon will my order get processed? It usually takes about 24-48 hours to dispatch your consignment, after which you get an email confirmation which contains the tracking information. Remember that peak business days, like holidays might impact the shipping time significantly. But, you can always get in touch with them to know the shipping status. Can I return the items I’ve ordered from Cavenders.com? 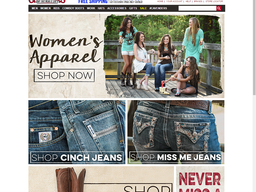 Unlike many other sellers, Cavender’s offers a lot of flexibility to their customers. You can happily exchange the items you’ve bought from Canvenders.com at any Cavender’s retail location or mail it back to Cavenders.com and claim for a refund. Once you’ve placed your order at Canvenders.com, it usually gets dispatched within 24-48 business hours. Deliveries are made Monday through Friday. It usually takes about 4-7 business days for your order to get delivered, once the order has been handed over to the mailing service, Cavenders.com do not have any control over the delivery time. They usually ship all orders via UPS Ground, UPS 2nd Day Air, UPS Next Day Air, expect for the orders placed with APO and FPO address. Orders placed with APO and FPO address are only delivered via United States Postal Service (USPS), and it takes about 6 – 10 federal working days for your order to get delivered. How do I track the status of my shipment? Cavenders.com sends you an email confirmation which contains the order tracking information which allows you to check the status of your shipment. However, Cavenders.com do not have any control over the shipment after the orders get handed over to the mailing service, you will have to contact the mailer for any queries regarding the delay. Can I change the items in my order after I’ve placed it? Yes, Cavenders.com can change the shipping method, reduce item quantities or cancel items on your order as long as the order has not been dispatched yet. However, they don’t add items to your order after you’ve placed it. You can either email to their customer service or make a call to them to request for an order modification. What credit cards do they accept? They accept American Express, Visa, Master Card and Discover Cards. The credit cards are charged after your product has been shipped and an email confirmation will be sent your email address. Can I use my Cavender’s Gift Card to make purchases on Cavenders.com? Yes, as long as the gift card has a 4-digit PIN on the back of the card, you can use it on Cavenders.com. However, gift cards without the PIN are not accepted at Cavenders.com, but can be used at a retail location or can be exchanged for a new card with a 4-digit PIN at any Cavender’s retail location. Do I get any discounts on the orders placed through Cavenders.com? Well, they don’t usually list products with a discounted price directly. However, they do publish some cavenders coupons which can be redeemed for a discount on your order. So, make sure that you check our website often to save the most out of your Cavenders.com orders! We make sure that we have all cavenders coupons listed as soon as it comes out! @Probullstats Hey @Probullstats, we apologize for your experience. We’re going to shoot you a DM and get this taken care of for you. Thanks!